Around 30% of all 4+ million New Zealanders live in the Auckland area and yet everything I hoped to see in the few days before hopping on the bus was within walking distance (even the ferry). Plus, an amazing view is nearly enough to make me fall for a city and in Auckland I found several. #1 Museum: A $10 donation for foreigners, the highlight for me was the National Geographic photo exhibit. The view outside was an added bonus! 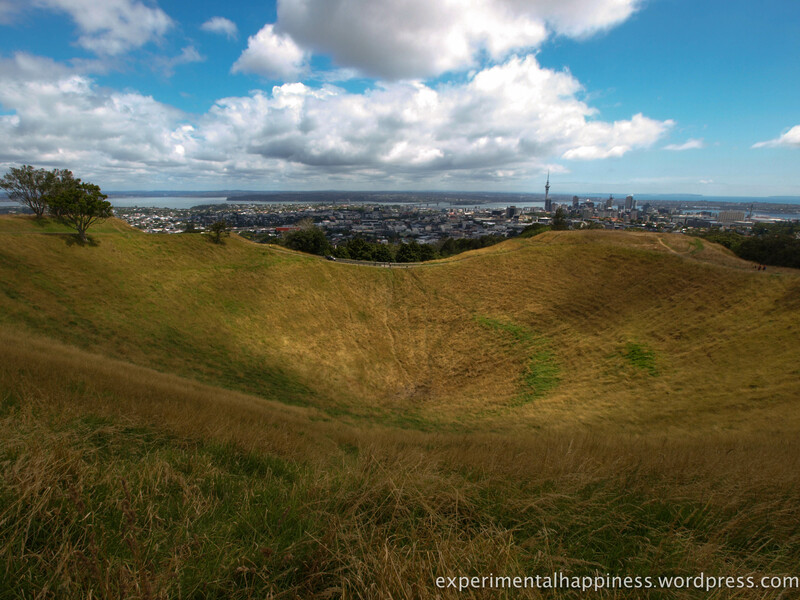 #2 Mt Eden: A dormant volcano with killer 360degree views, Mt Eden is walkable from Queen Street. At the top you can see the grassy crater with downtown in the background. 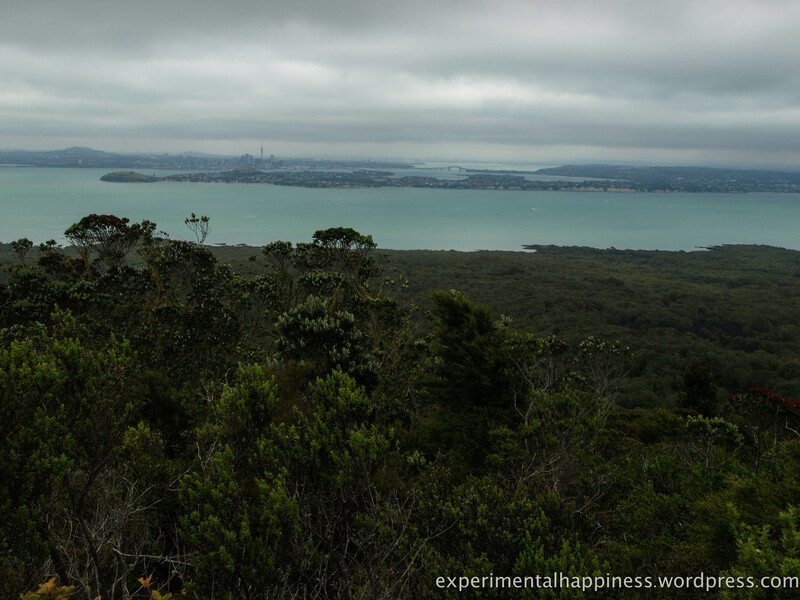 #3 Rangitoto: Where to go to get away from it all. 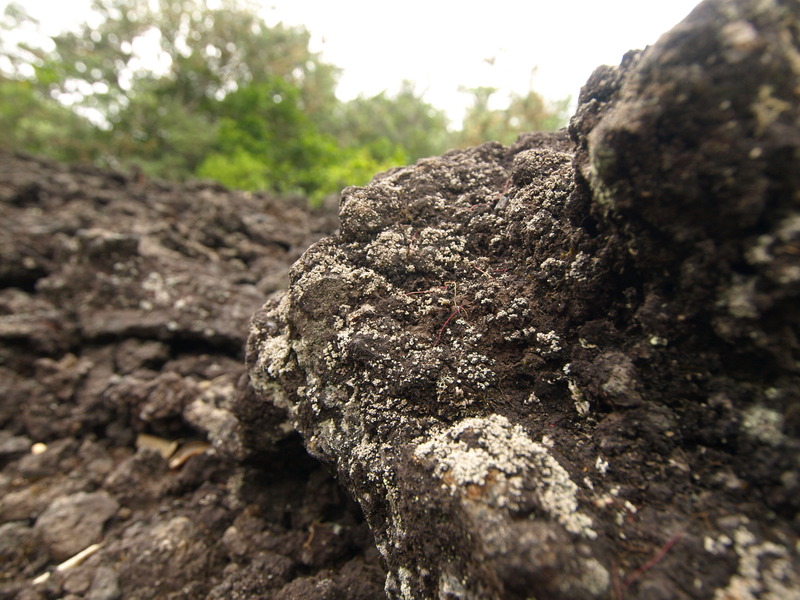 There is nothing on this volcanic island but hiking trails and nature! A short ferry ride from downtown and rewarding views from the top of the crater (even on a cloudy day). 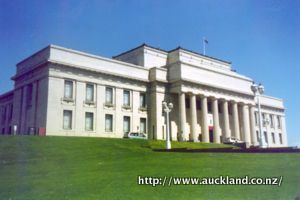 This entry was posted in NEW ZEALAND, RTW Destinations and tagged Auckland, Backpacking, Hiking, Museum, New Zealand, RTW Destinations, Travel, Volcano. Bookmark the permalink. Great post, I’m planning a trip to New Zealand and your ‘top three’ has given me inspiration! Fantastic! Plan your escape to NZ – there’s so much to see and do!